Brawls have broken out in supermarkets in France as shoppers scramble to get their hands on discounted pots of chocolate and hazelnut spread. Brawls have broken out in French supermarkets as shoppers scramble to get their hands on discounted pots of chocolate and hazelnut spread. Chaotic scenes were filmed in several supermarkets operated by the Intermarche chain. The promotion, launched on Thursday, reduced the price of more than a million 950-gram pots from the equivalent of $7.20 Cdn to $2.15. In comparison, Canadian grocery flyers offer a 725-g container of regular Nutella for between $4.98 and $5.98 on average. One video posted on Twitter shows French customers shoving each other and shouting as they try to get as many pots as possible. According to Le Parisien newspaper, shoppers started to fight in the northern town of Ostricourt, prompting police to step in. Intermarche did not immediately answer a message from The Associated Press seeking comments. 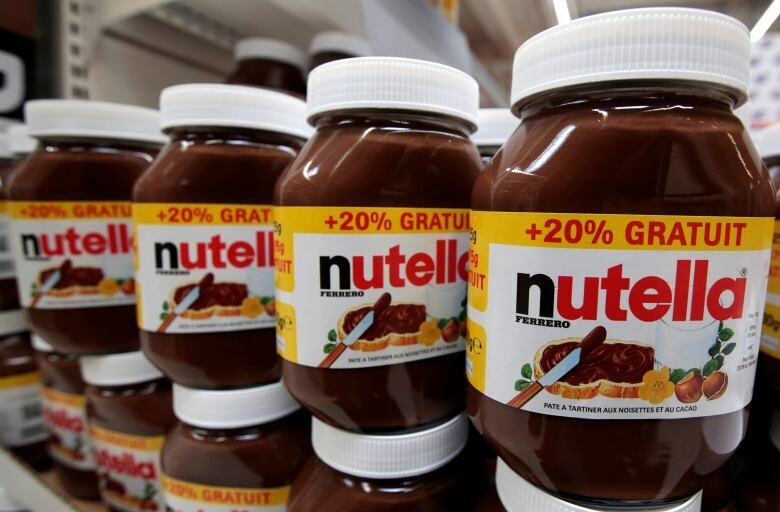 Ferrero, the company that produces Nutella, decried the incidents and distanced itself from the supermarket chain. "We want to clarify that the decision for the special offer was taken unilaterally by Intermarche," the company said in a statement. "We regret the consequences of this operation, which created confusion and disappointment in the consumers' minds." The discount was meant to last until Saturday, but stocks ran out quickly at many supermarkets. Sales went smoothly in some places, however, with no incidents reported in several supermarkets taking part in the promotion.